On Sunday, January 21 at Sinclair 13 members of the Spalding County Sportsman Club fished our January tournament. We landed 18 keeper 12 inch bass weighing about 38 pounds in 7.5 hour of casting. There was one limit and four people did not have a fish. I won with five weighing 12.14 pounds, Wayne Teal placed second with two weighing 7.83 pounds and his 5.91 pound largemouth was big fish, Jay Gerson fished with Wayne and had three at 4.05 for third and Russell Prevatt’s 3.29 pounder placed fourth. January showed how important a trolling motor is to me. I won two of the three I fished with limits in both and had big fish in one of them but placed eighth in the other one. The two I won my trolling motor worked, in the other one it did not. I had to fish where the wind blew me or sit in one place and cast with the power poles holding the boat in place. I culled, the first from behind a dock I had tried to fish the week before but without a trolling motor could not cast to that specific spot. Two of the other keepers I did not weigh in came while easing around a cove where I could not fish the weekend before because the wind blew me around too much. We started at 8:00 AM fishing a shallow bank I like. I had heard fish the weekend before were caught shallow on crankbaits but did not get a bite until 9:20 AM when the first small keeper hit my crankbait behind the dock. At 10:00 we had not had another bite, so I decided to try some deep brush. We pulled up to a brush pile that was in water that dropped from 10 to 30 feet very fast. I had tried to fish it the weekend before, but with the wind all I could do was pull into shallow water behind it, put my power poles down and try to make cast to it. I never got a bite that day but Sunday, while moving a jig and pig very slowly through the brush, I caught two of my biggest fish. We tried some other places and I caught one keeper on a crankbait and one on a shaky head worm but ended up culling both. When we went back to the deep brush and I caught my biggest of the day, just over three pounds. By then I realized the bright sun and lack of breeze drove the fish to deep water, so we fished it the rest of the day. I caught two more good keeps on the jig that culled my smaller fish, both out of deep brush where I tried to fish without a trolling motor the week before but could not because of the wind. I had to fish extremely slowly, and the fish did not hit hard, I would just feel my line get “mushy.” That’s when another advancement, quality, light-weight, very sensitive rods, help a lot. 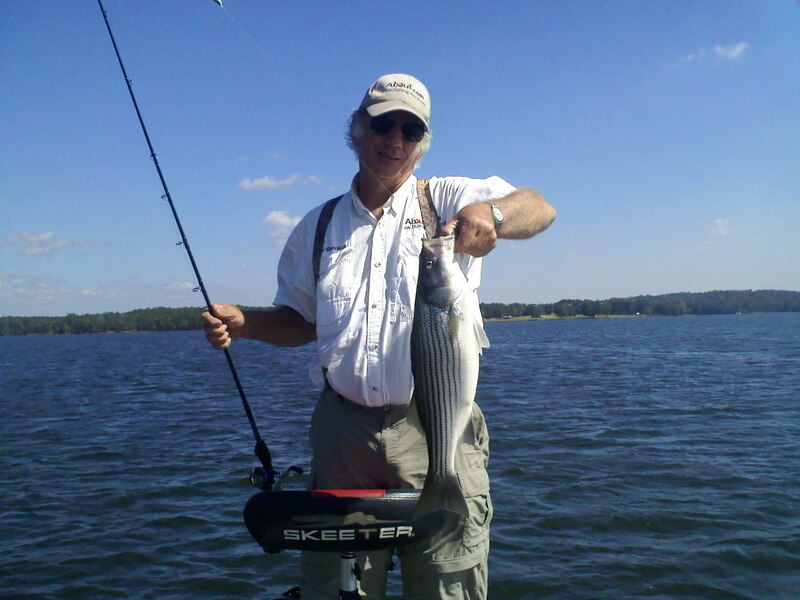 What a difference having a working trolling motor made! This entry was posted in Bass Fishing, Tournament Fishing on February 5, 2018 by ronniegarrison. Good read,Yeah trolling motor is a must.